4 How to wash a coat on holofiber? Heat-saving, soft and lightweight synthetic material called holofiber today is used in many products. Modern mistress is difficult to imagine life without products from this subtype of synthetics. Virtually every home has things from this material, and many people wonder: how to wash the hollofiber at home? Consider the most current and popular ways to help you properly wash synthetic products. Holofiber is a special kind of synthetic material. It is very soft, has a heat-saving function and is very light. He is able to make any product warm, light and comfortable to wear. In addition, this material is elastic, it does not roll down and does not lose shape after numerous washes. Comfortable jackets, coats and linens made of synthetic fiber are hypoallergenic, so they can easily be worn even by people with asthma and other diseases. In addition, today there are many types of bedding with a synthetic content. Pillows and blankets to get very profitable, because they are characterized by high thermal conductivity and comfort. In addition, they serve for a long time, do not roll, bed mites do not get into them. But sooner or later, any product is contaminated, so it is advisable to properly clean things from spiral fibers. How to wash holofiber - learn further. Products from this material are subject to pollution, but they serve for a long time. There are a lot of things with this filler. This is mainly outerwear: coats, down jackets, jackets. Synthetic fiber, by the way, is in no way inferior to others - for example, fluff. It is not less warm and comfortable, elastic and frost-resistant. Many housewives ask themselves: “Is it possible to wash a jacket with holofiber?”. The answer is simple - yes, you can. This material is very unpretentious in washing; much more effort will take you to dry it. So, consider the basic rules and find out how to wash the hollofiber in a washing machine. Washing the holofiber is not as difficult as it seems at first glance. Many housewives are perplexed and do not quite understand how to wash a jacket on a holofiber in a washing machine. In fact, everything is very simple - you only need to observe a few nuances that will lead you to an excellent result. So, if you decide to wash a thing made of synthetic fiber, follow some tips. First, when washing such products, hand or machine washing is recommended. Water temperature should not exceed 65 degrees. Synthetic fiber - material unpretentious, so you can rinse it, squeeze, twist. From this, he will not lose his properties. It is desirable to wash persistent dirt on things manually, using ordinary soap and water. If you cannot get rid of them completely, you can use stain removers or liquid detergent. How to wash a coat on holofiber? An increasingly popular in the modern world is getting a holofiber coat. Such outerwear is warm, soft and very comfortable to wear. Synthetic material is quite durable, so you can wash the product in hot water. The recommended temperature for washing a coat is 30-60 degrees. So, how to wash a coat from a holofiber correctly, without deforming the thing? To get started is to determine the detergent. Special powders will be very useful. If your coat is white, you can use a clever trick - to cover it with powder for black products, and the thing will become almost snow-white. 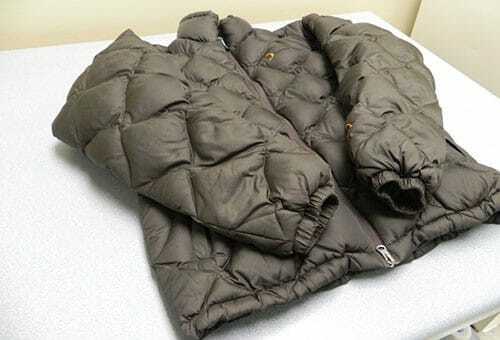 It is recommended to wash black outerwear with a special black liquid, and the best way to clean multi-colored baby coats with a tool that will enhance the brightness of the shade. It is not enough just to wash a thing and forget about it - you need to dry it properly. Taking a coat from a basin or washing machine, gently shake it, thereby returning it to its original appearance. So you will save material from deformation. It is best to dry the product outdoors or in an easily ventilated place. If you wash a thing in a typewriter, you can use the drying function. Take into account that you should not get involved in frequent washing of the coat on the holofiber. Despite the fact that this material is very durable, after constant washes it has the ability to deform. But if your coat is still out of shape, you should not get upset - just try to remove the filler and carefully comb it with a large brush for animal hair. How to wash a holofiber jacket? Very simple. Here are some tips to help you wash not only the jacket, but also a down jacket. Experts recommend to erase these things at a temperature not exceeding 40 degrees. 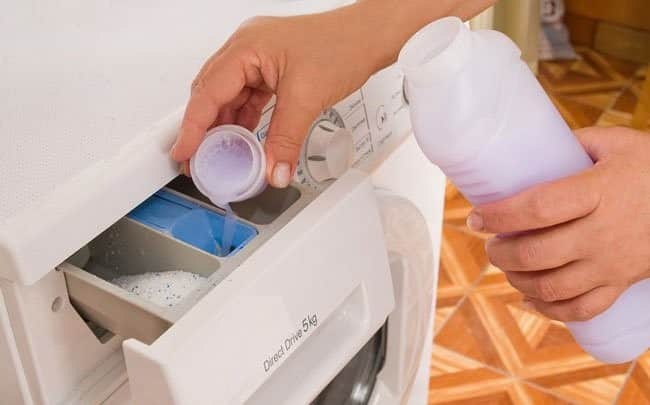 It is advisable to use a mild detergent in order not to damage the structure of the product. You can wash the thing from synthetic fiber both manually and by machine. To do this, you need to type in a basin or centrifuge of water, put a couple of spoons of powder there and leave for some time. Washing the holofiber has no special limitations, so if you wish, you can squeeze the product or unscrew it. After washing, the jacket or down jacket should be hung on a rope and left to dry. How to wash the jacket on holofiber, we reviewed. But what if you wash the thing too often, and it is deformed? In fact, to restore the form is quite realistic. To do this, you just need to remove the filler from the clothes and comb it with a large brush. Then it is necessary to return it back, and the thing will serve you for a long time. If you need to iron the product, be careful - it is strictly forbidden to iron it with a hot iron. The optimal ironing temperature is 60-80 degrees. It is important not only to know how to wash a down jacket from a holofiber, but also to know how to dry the thing properly. With the observance of the basic rules make it quite easy. After washing, it is advisable to hang the outerwear either on a rope or on a hanger. This is to ensure that the product does not lose shape. Before moving the item to a dry place, hang it over the bath and wait until the water runs down. By the way, a synthetic product dries quickly enough - if you wash it in the evening, it will be dry in the morning. 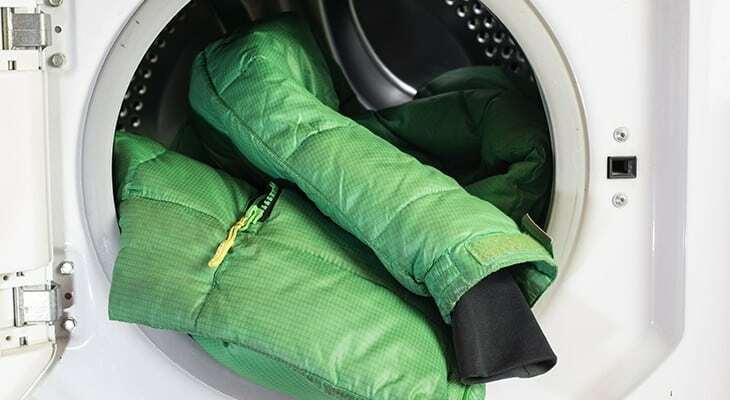 When drying a jacket or down jacket, you can also use the dryer in a washing machine. You already know how to wash a down jacket on a holofiber, now it is the turn of bed linen. 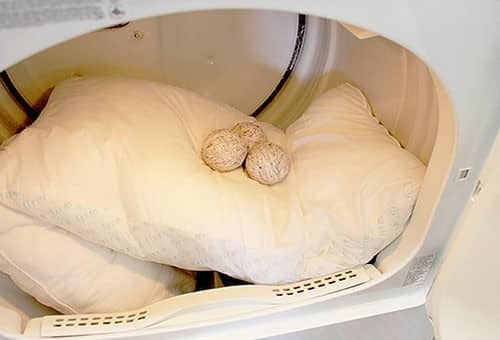 If you purchased a synthetic pillow, but do not know how to wash it, share with you useful tips. 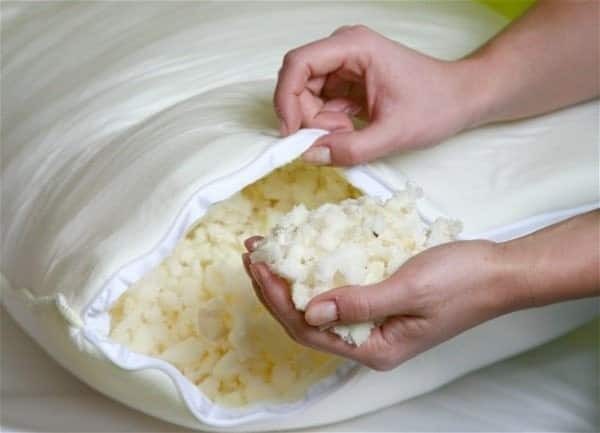 It should be noted that pillows and bedding made of this material are of high strength and environmental friendliness. They are soft, warm and incredibly comfortable. In addition, they can be purchased at a fairly reasonable price. Wash pillows are not recommended by machine wash, and hands. The manual method will help extend the life of the product and keep its shape. After a pair of machine washings in the filler, pellets may form, it will become dense and turn into ugly lumps. To avoid deformation, wash the pillow with your hands. For bed linen, use mild powders, detergents or shampoos. The washing process is quite simple - you need to pour warm water into a basin, put the thing in there and leave it for about half an hour. Then add liquid detergent and gently rinse the product. Experienced housewives do not recommend squeezing and unscrewing the pillow - it is better to let the water drain itself and leave the product until it is completely dry. It is only necessary to shake it periodically - this helps to preserve the correct form. These tips will help you "extend the life" of things and make the washing process as safe as possible.